A few years ago, people talked about packing up and moving to Colorado to start a new career in the budding marijuana industry. Since then, the options have expanded quite a bit. Alaska, Oregon, Washington and the District of Columbia all joined Colorado in legalizing recreational marijuana. On Nov. 8, voters in California, Massachusetts and Nevada did the same. And now 28 states and the District of Columbia have legalized medical marijuana. Cannabis has become a $6 billion industry. Experts project it will reach $20 billion or more by 2020. Few industries provide the growth opportunities you will find in cannabis. In Colorado alone, more than 18,000 jobs have been created by the marijuana industry. So how to find a job in this industry? Consider the following seven options, not all of which require packing up and moving. Although since we are talking about places such as Denver, Seattle, San Francisco, Portland, Boston and Los Angeles – maybe moving is not such a bad idea, right? You’ll notice we left off retail seller and farmer. Certainly, those are businesses you can attempt to get into. However, opening these types of businesses requires getting licensed by the state and navigating a host of complex regulations. These represent the marijuana industry jobs you can do right now. How about doing what you do right now, except for the cannabis industry? Like any business, marijuana operations need accountants, attorneys, supply chain managers and marketers, to name just a few. They also need web page designers, internet marketing, web content writing and search engine optimization – all of which you can do from where you are sitting right now. Yes, just like a bartender. But rather than helping someone select the right vodka to go with that tonic, budtenders work with customers to select just the right kind of cannabis for their needs. This requires a lot of knowledge about the various strains of cannabis, as wells as vaping and edibles. Also, recreational and medical marijuana users will have different needs. People skills also prove important in this job – a budtender often is the face of the business for customers. If a brick-and-mortar business is more your type of thing, then consider becoming a glass merchant. This means you deal in everything from traditional devices to smoke marijuana to newer products such as vaporizers. Of course you can do this online, or sell your products on already established online dispensaries. The expansion of edibles has been one of the biggest success stories in the marijuana industry. People now have the opportunity to partake of marijuana in a number of ways, including brownies, cookies, candy, beverages – you name it. Coming up with cannabis edibles is a growing field. If cooking is your thing, this could be the right fit for you. Working in an office is not for everyone. For some it represents too much conformity and too rigid a schedule. Besides, intelligent and creative people tend to prefer staying up late anyway rather than adhere to office hours. A job like courier could prove perfect for them. Marijuana delivery services have sprung up in most major cities where cannabis is legal, offering private delivery of marijuana products. Couriers, whether by bike or car, make the delivery right to the buyer’s doorstep. Yep, like pizza. Brick-and-mortar dispensaries need someone at the door to check identification, medical marijuana cards when applicable and make sure all transactions get done with no drama. Security was more of an issue in the early days of the legalized marijuana industry, however most large dispensaries keep at least one security person on staff. 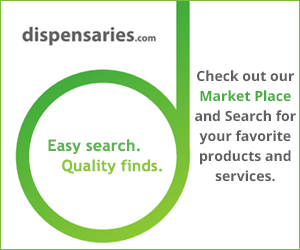 As an increasing variety of cannabis become available, more outlets provide information about the various products. And someone needs to test these products. Which in the case of marijuana…well, you know what that means. This might seems like a dream job to some, but it requires an ability to discern the effects of various marijuana products and also the ability to write about them. These represent just some of the jobs in the marijuana industry. With the rapid growth across the country, expect more jobs to be available in the coming years. For those looking to launch a new career, marijuana industry jobs provide an attractive option.